Create a custom designed deck railing system with these balusters. 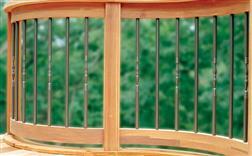 Compatible with Deckorators CXT composite railing systems. Choose from composite balusters, aluminum, or glass.